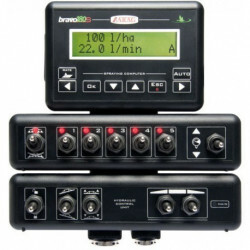 Computer Bravo 180S is the smallest computer belonging to Precision Farming range but still offering high perfomances. A compact and cost-effective tool but extraordinarily efficient and precise to meet all requirements of small-medium farming machine operators. 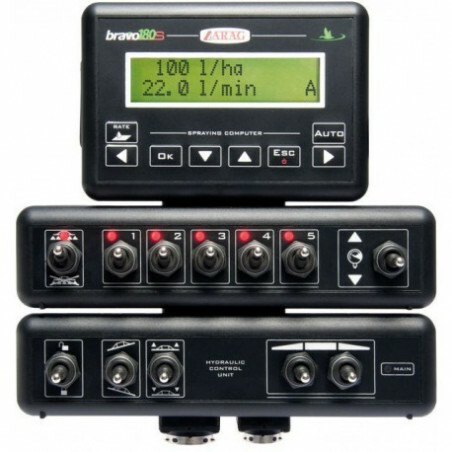 • Automatic stop below minimum set pressure, to ensure nozzles always work within their service range. • Automatic shut-off of main valve below minimum work speed set by user. • 10 job configurations can be stored (spray rate, nozzles, etc.) and recalled when necessary. 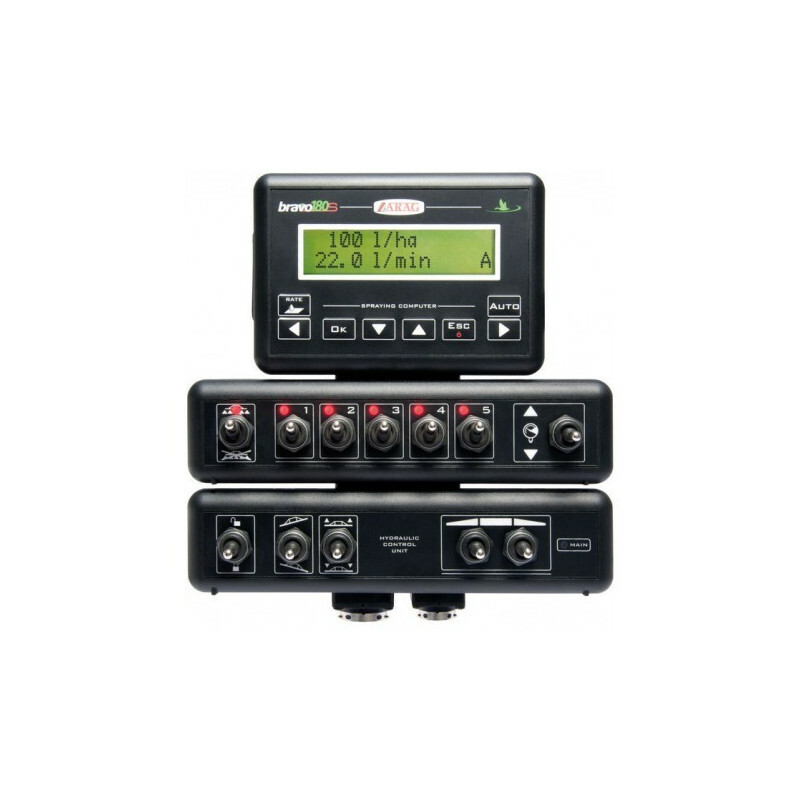 • Visual and sound alarms. • Temporary increase and decrease of liquid output. • Information displayed: Application Rate, Speed, Pressure, Flow rate, Sprayed quantity, Tank level, Area covered, Spraying duration, Distance covered.